The Hofstra University chapter of the Public Relations Student Society of America (PRSSA) will host a PRSSA regional conference, March 18-19. More than 120 students from Hofstra and area institutions are expected to attend, along with three dozen PR specialists, communicators, and journalists who will serve as moderators and panelists in workshops examining public relations practices and career opportunities in industries ranging from entertainment and travel to nonprofit, technology, and international relations. 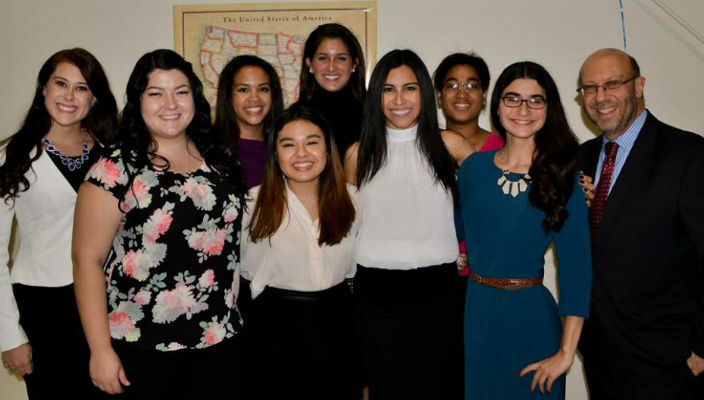 The Hofstra PRSSA’s Executive Board, led by Retana, submitted a 12-page application last fall and was interviewed by representatives of the national organization as part of the screening and selection process, said Professor Jeff Morosoff, the group’s faculty adviser and the director of the graduate program in public relations. 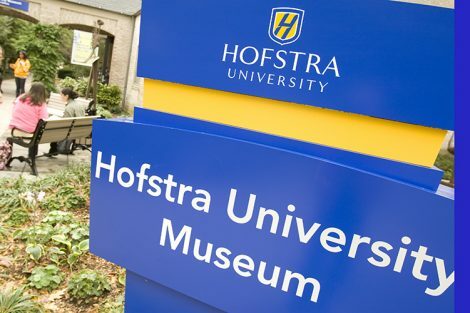 The conference’s theme is “Start Spreading the News,” a nod to the advantages Hofstra PR students have because of the University’s proximity to New York City, the media and PR capital of the world. The two-day event begins on Friday, March 18, with a tour of the Museum of Public Relations at Baruch College in New York City, followed by a networking reception at the Heartland Brewery in the Empire State Building with working professionals as well as Hofstra PR alumni and faculty. 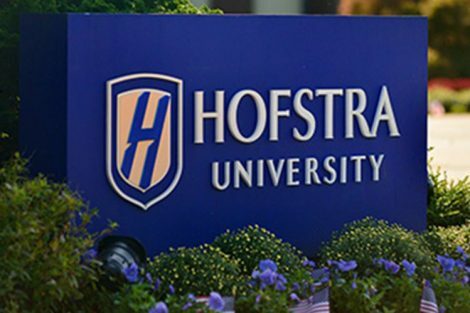 Participants will attend a full slate of workshops on the Hofstra campus on Saturday, March 19, including a keynote address from Ashley Trager Chauvin, vice president of corporate and public affairs at Edelman, a leading PR, marketing, and communication firm. The events are planned and hosted by students, giving them the experience of organizing a major event, networking with PR practitioners, and attending workshops designed for learning and professional development. Students interested in attending the conference can register online or visit the Hofstra PRSSA table in the Student Center atrium. The conference is co-sponsored by Hofstra’s Office of the Provost and Senior Vice President for Academic Affairs, the Lawrence Herbert School of Communication, the Office of University Relations, and PR firm Zimmerman/Edelson, Inc. Featured image: Hofstra PRSSA members with Prof. Jeff Morosoff at a 2015 networking event.